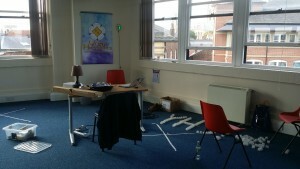 York Hackspace has a new space! We’ve got a sort of corner of a room on the second floor of Stonebow House, an unoccupied office building, which is being allocated as temporary pop-up art studio space whilst the developers negotiate planning permissions with the council. This means it’s not permanent – in around six months or so this’ll be sorted out and we’ll be kicked out again – but till then, we’ve got some space to work in and leave things in at last! Now we just need some furniture such as tables and chairs. 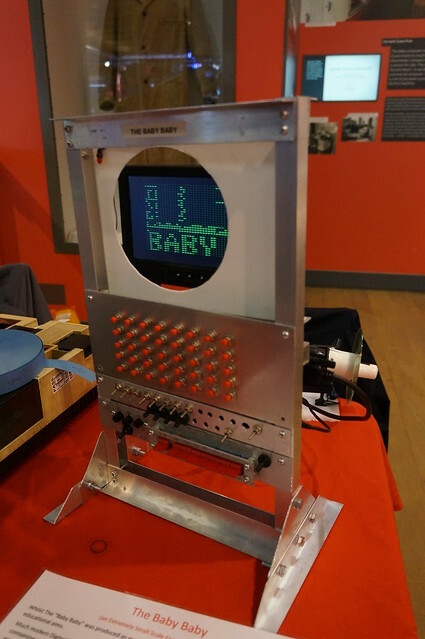 We were in Manchester last weekend, we took Spacehack and some other things to MakeFest 2015. 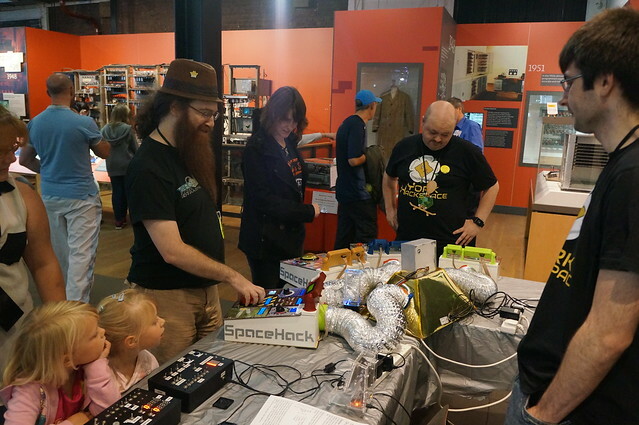 As usual Spacehack was thoroughly enjoyed by many ambitious new crew members, who all exploded in the vast expanse of deep space. 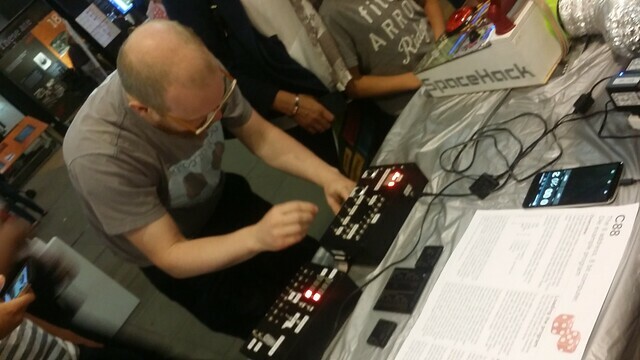 As usual, Spacehack came home with more failed controls than when it left.